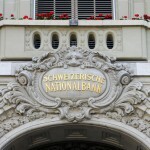 The Swiss National Bank won’t rule out another interest rate cut, though any measure must be weighed with a view to its potential side effects, Governing Board Member Andrea Maechler said. 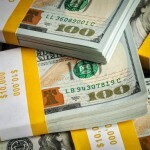 “We’re always looking into other options, if needed — we’re looking into all of them,” Maechler said at an event for financial professionals in Zurich on Thursday. “We’re not excluding any of them, including a possible further reduction in the interest rate.” For more than a year the SNB has pursued a twin-pillar strategy of negative interest rates of minus 0.75 percent and a pledge to intervene in currency markets. Additional easing in the neighboring euro area has repeatedly sparked speculation among economists that the SNB may decide to lower rates further in a bid to maintain the interest rate differential. 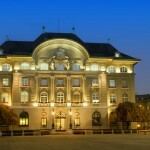 Analysts think the SNB could cut its deposit rate to as low as minus 1.25 percent if needed, according to Bloomberg’s most recent monthly survey.